The Parthenon Company Blog - Specialists in Wound and Ostomy Supplies: Searching For a Reliable and Cheap Supplier of Medical Supplies? Searching For a Reliable and Cheap Supplier of Medical Supplies? Buying ostomy supplies can be difficult at times. There are so many variations on pouches and wafers (skin barriers), not to mention the unlimited accessories which may or may not be helpful to your condition. It's always easier with the guidance of an enterostomal therapist or WOCN (wound, ostomy, continence nurse) because they save you much of the trial and error part of finding the right products as well as a big chunk of money. This stuff can be very expensive and that's why it's important to find a company specializing in ostomy supplies and with the lowest prices. The Parthenon Company ships ostomy supplies to every state in the U.S. from Utah to Florida and North Dakota to Texas, including Hawaii, Alaska and Puerto Rico. 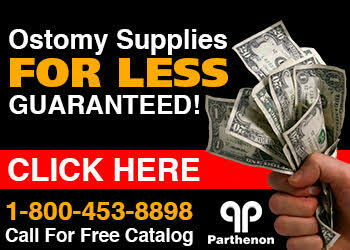 There are several international locations Parthenon ships ostomy supplies to as well including Canada. Parthenon is conveniently located in Salt Lake City, Utah nestled between Colorado, Arizona, Nevada, Idaho and Wyoming. Delivery is nationwide and Parthenon ships from UT as well as several locations spanning the nation. So whether you're right here in the mountain states or in New Jersey, Parthenon can provide you with superior customer service and the lowest prices on all ostomy supplies nationwide!